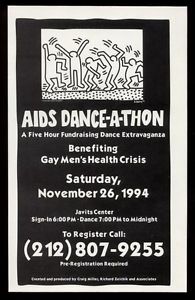 Exactly twenty years and one day ago today, I was at the five-hour-long GMHC AIDS Dance-a-Thon at the Javits Center in New York. An old poster for the event. It was my second year at the Dance-a-Thon and I was extremely serious about my fundraising. I was one of those people who went around the office terrorizing people till they donated. I would take a dollar per hour of dancing if that’s all I could get out of someone. 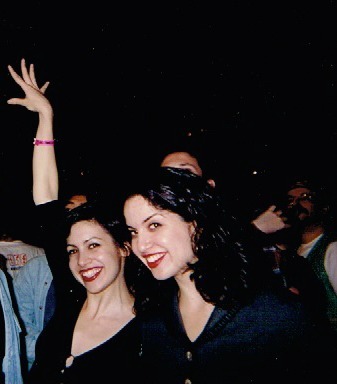 Dancing the night away in 1994. Me on the left, my sister Terri Berry on the right. 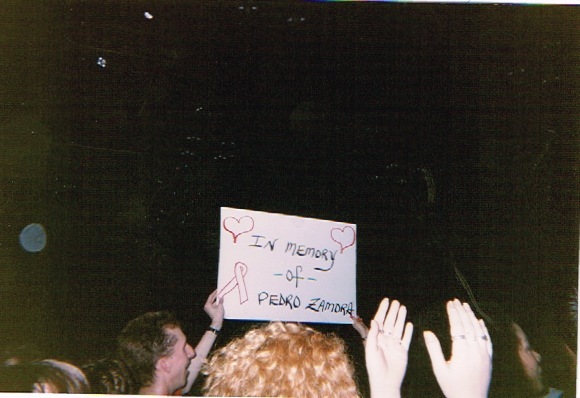 The ’94 event took place two weeks after activist Pedro Zamora died of AIDS at the age of 22. Handsome, charming and openly gay, Pedro had appeared on MTV’s The Real World: San Francisco and was credited with humanizing people living with HIV for a wide audience. 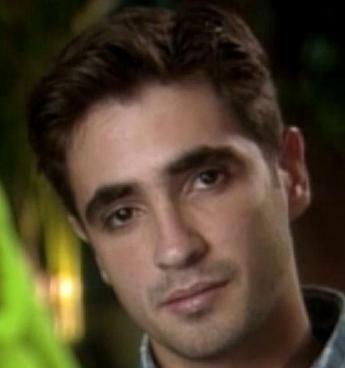 Pedro Zamora. Click for video. Pedro was memorialized at the dance-a-thon. 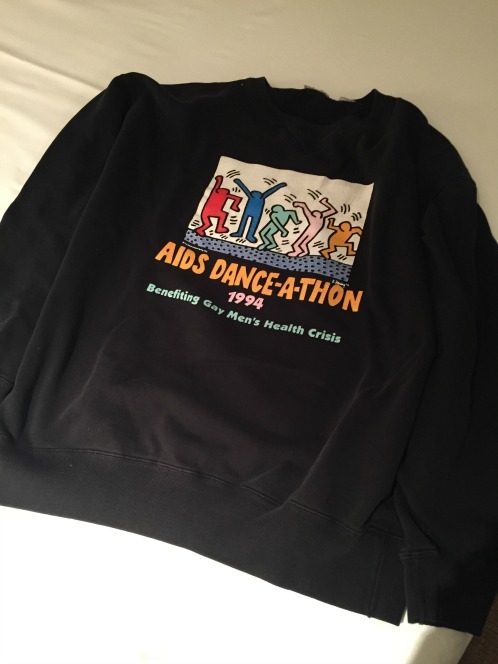 Last night, I lounged around in the sweatshirt with the Keith Haring design that I got at the dance-a-thon on Nov. 26, 1994. This sweatshirt and its 1993 sibling are my favorite sweatshirts. I’ll never get rid of them. The sweatshirts were produced by the Gap. Props to that company for contributing. It’s interesting to see who made the effort back then, isn’t it? Have a happy Thanksgiving! Oh! And if you haven’t seen Salt-N-Pepa’s adorable Geico commercial, featuring their breakout song, “Push It,” here it is. Their DJ has the best stage name ever. I always wish I could be called “Spinderella”! I wish I knew you then, I would have gone with you and Terri Berri! !